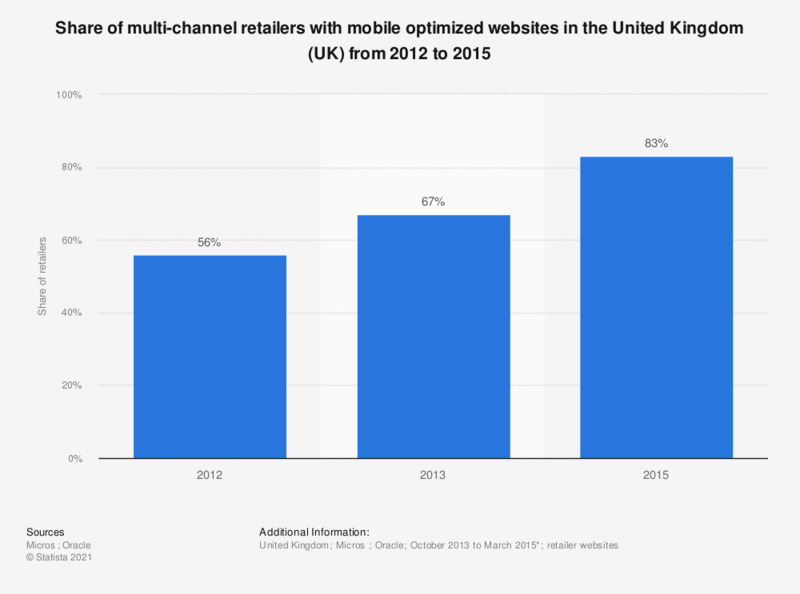 This statistic displays the share of multi-channel retailers with mobile optimized websites in the United Kingdom from 2012 to 2015. Of retailers investigated in 2015, 83 percent had mobile optimised e-commerce websites. * Date of most recent survey.